You and I, today and always, are to bear witness of Jesus Christ and declare the message of the Restoration. … Missionary work is a manifestation of our spiritual identity and heritage. Proclaiming the gospel is not an activity in which we periodically and temporarily engage. And our labors as missionaries certainly are not confined to the short period of time devoted to full-time missionary service in our youth or in our mature years. Rather, the obligation to proclaim the restored gospel of Jesus Christ is inherent in the oath and covenant of the priesthood into which we enter. 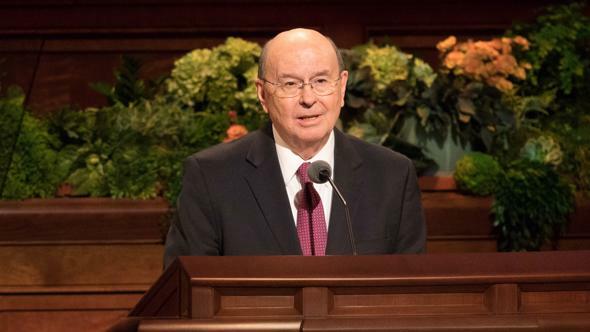 Missionary work essentially is a priesthood responsibility, and all of us who hold the priesthood are the Lord’s authorized servants on the earth and are missionaries at all times and in all places—and we always will be. Our very identity as holders of the priesthood and the seed of Abraham is in large measure defined by the responsibility to proclaim the gospel. 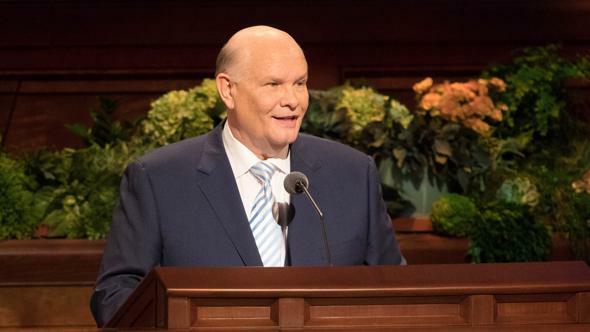 In meetings with young members of the Church around the world, I often invite those in attendance to ask questions. One of the questions I am asked most frequently by young men is this: “What can I do to prepare most effectively to serve as a full-time missionary?” Such a sincere question deserves a serious response. The issue is not going to church; rather, the issue is worshipping and renewing covenants as we attend church. The issue is not going to or through the temple; rather, the issue is having in our hearts the spirit, the covenants, and the ordinances of the Lord’s house. The issue is not going on a mission; rather, the issue is becoming a missionary and serving throughout our entire life with all of our heart, might, mind, and strength. 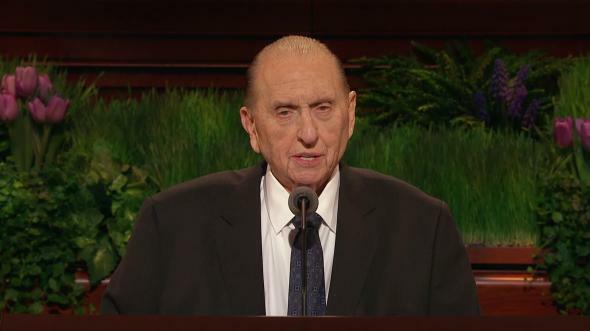 It is possible for a young man to go on a mission and not become a missionary, and this is not what the Lord requires or what the Church needs. 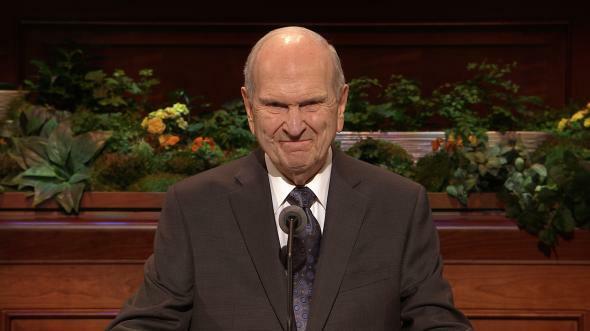 My earnest hope for each of you young men is that you will not simply go on a mission—but that you will become missionaries long before you submit your mission papers, long before you receive a call to serve, long before you are set apart by your stake president, and long before you enter the MTC. “… It is not enough for anyone just to go through the motions. The commandments, ordinances, and covenants of the gospel are not a list of deposits required to be made in some heavenly account. 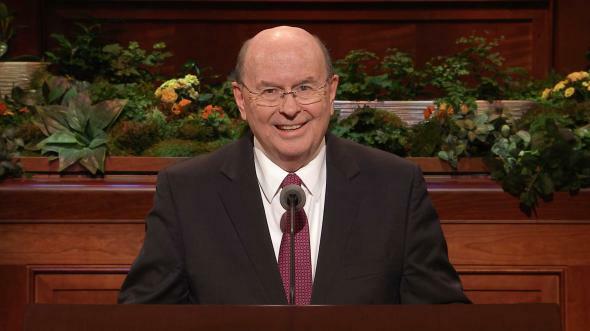 The gospel of Jesus Christ is a plan that shows us how to become what our Heavenly Father desires us to become” (“The Challenge to Become,” Liahona, Jan. 2001, 40; Ensign, Nov. 2000, 32). 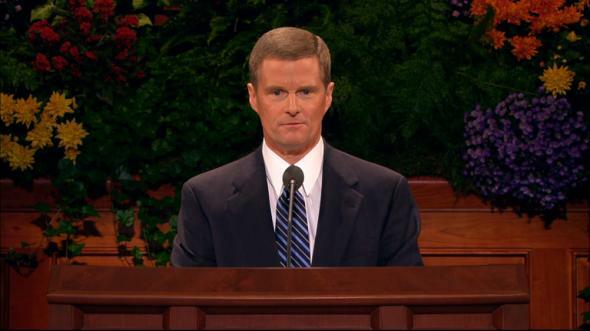 The preparation I am describing is not oriented only toward your missionary service as a 19- or 20- or 21-year-old young man. Brethren, you are preparing for a lifetime of missionary work. As holders of the priesthood, we are missionaries always. 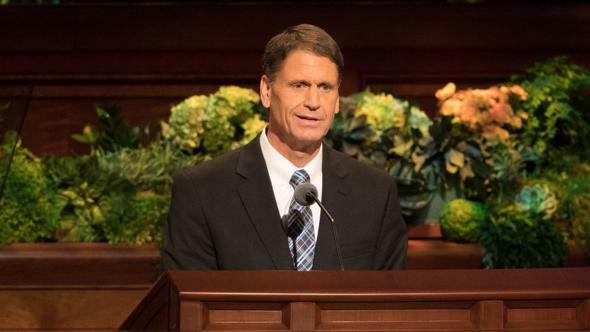 If you truly progress in the process of becoming a missionary, both before going on a mission and in the mission field, then when the day arrives for your honorable release as a full-time missionary, you will depart from your field of labor and return to your family—but you will never cease your missionary service. 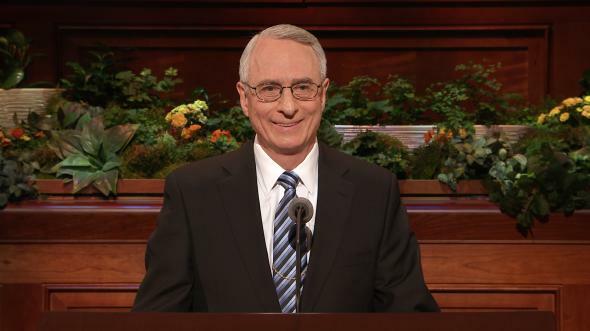 A priesthood holder is a missionary at all times and in all places. 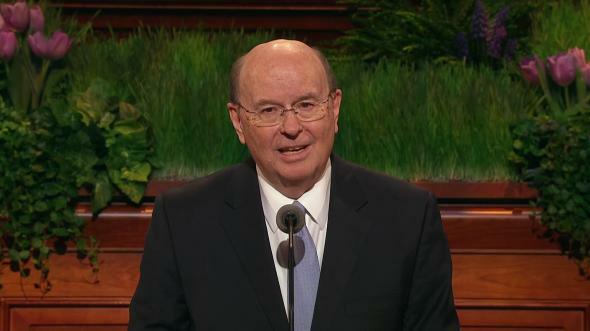 A missionary is who and what we are as bearers of the priesthood and as the seed of Abraham. The heirs of all the promises and covenants made by God to Abraham are referred to as the seed of Abraham (see Bible Dictionary, “Seed of Abraham,” 771). These blessings are obtained only by obedience to the laws and ordinances of the gospel of Jesus Christ. 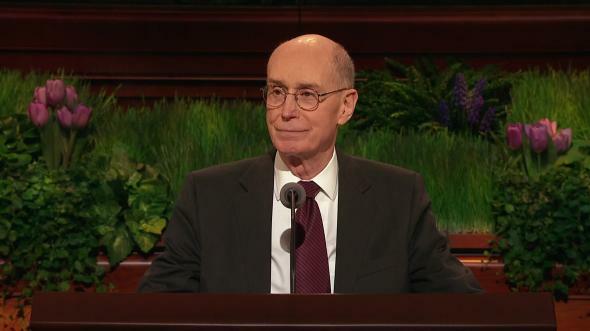 Brethren, the process of becoming a missionary is directly related to understanding who we are as the seed of Abraham. “And in thy seed shall all the nations of the earth be blessed; because thou has obeyed my voice” (Gen. 22:16–18). 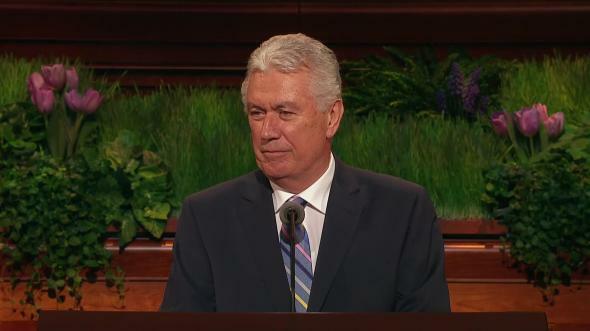 “And I will bless them through thy name; for as many as receive this Gospel shall be called after thy name, and shall be accounted thy seed, and shall rise up and bless thee, as their father” (Abr. 2:9–10). 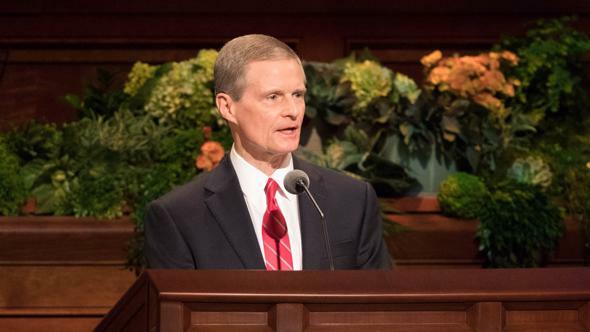 We learn in these verses that Abraham’s faithful heirs would have the blessings of the gospel of Jesus Christ and the authority of the priesthood. 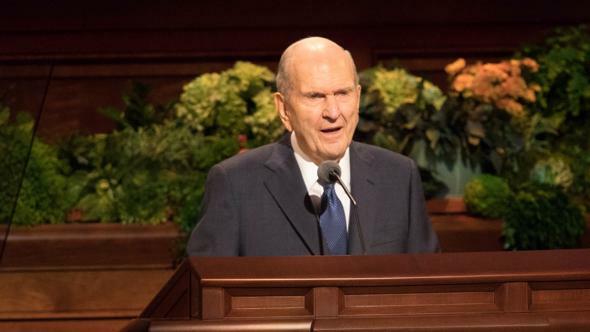 Thus, the phrase “bear this ministry and Priesthood unto all nations” refers to the responsibility to proclaim the gospel of Jesus Christ and to invite all to receive by proper priesthood authority the ordinances of salvation. 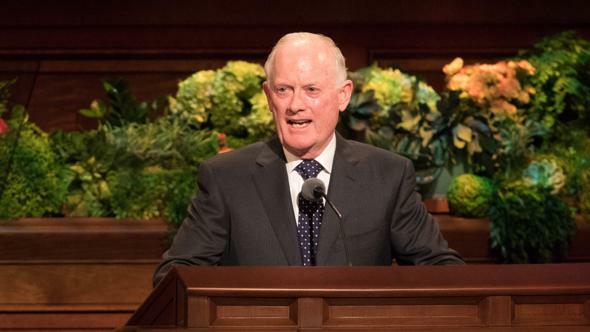 Truly, great responsibility rests upon the seed of Abraham in these latter days. My beloved brethren, you and I, today and always, are to bless all peoples in all the nations of the earth. You and I, today and always, are to bear witness of Jesus Christ and declare the message of the Restoration. You and I, today and always, are to invite all to receive the ordinances of salvation. Proclaiming the gospel is not a part-time priesthood obligation. 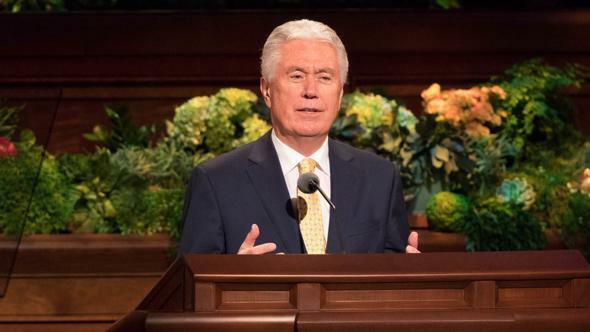 It is not simply an activity in which we engage for a limited time or an assignment we must complete as members of The Church of Jesus Christ of Latter-day Saints. Rather, missionary work is a manifestation of our spiritual identity and heritage. We were foreordained in the premortal existence and born into mortality to fulfill the covenant and promise God made to Abraham. 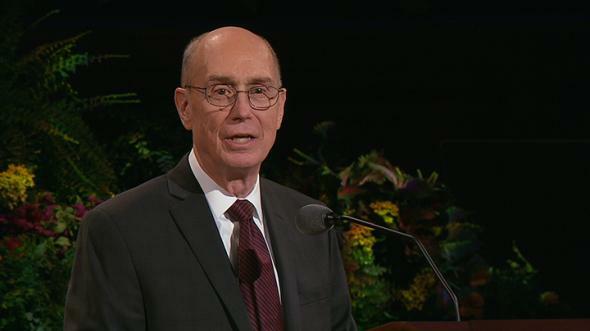 We are here upon the earth at this time to magnify the priesthood and to preach the gospel. That is who we are, and that is why we are here—today and always.